A proven approach that gets you communicating in American Sign Language with confidence, right away! 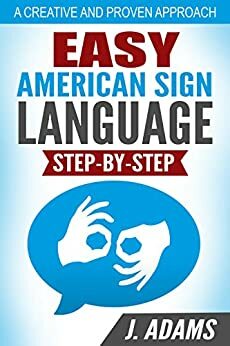 Easy American Sign Language Step by Step proves that a solid grounding in basics is the key to mastering a second language. Hand gestures, rules, and concepts are clearly explained in order of importance, and more than 300 signs are introduced on the basis of frequency. Numerous exercises and engaging readings help learners quickly build their Signing and comprehension prowess. Want a quick and effective way to learn to read and speak American Sign Language? You've come to the right place! So what's the trick? Easy American Sign Language Step-by-Step is based on the idea that the quickest route to learning Sign Language is through a solid grounding in the basics. What you won't find in this book is a lot of pointless drills. Instead, you get an original, step-by-step approach to learning Sign Language based on the way people naturally acquire language. From the very beginning, you are introduced to the most essential structures--allowing you to communicate in Sign Language almost immediately. Gradually, through a series of interconnected "steps," you progress in a logical way to more common concepts that govern how Signing is conducted. And along the way you are introduced to hundreds of carefully selected signs and presented on the basis of how often they are used in everyday Sign Language. It's ok but not clear enough for beginners. For example when it describes "live" it says to move your fist up - singular. It would be much clearer and correct to say to "move both fists up at the same time".